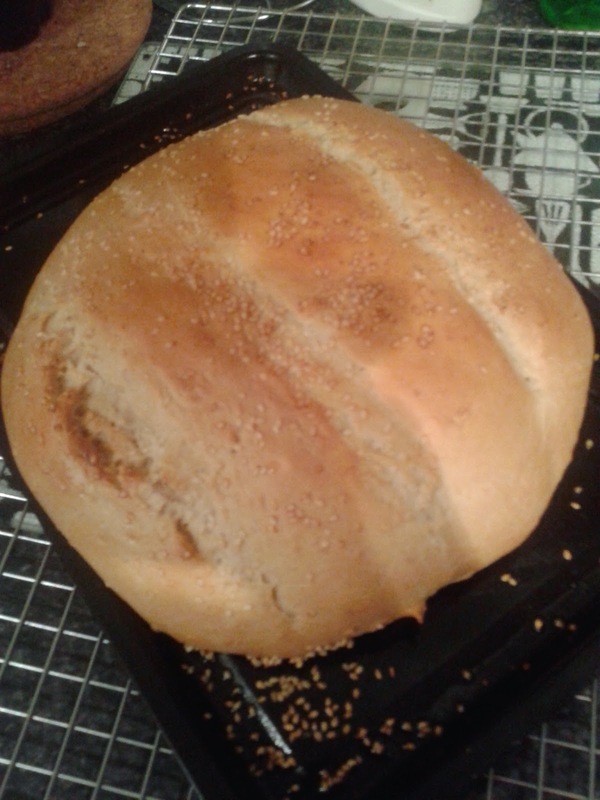 Readers, last Sunday night I had a notion for home-made bread. The plan was to have a carb loaded home-made lasagne for dinner and sometimes, you need bread to mop up the sauce. 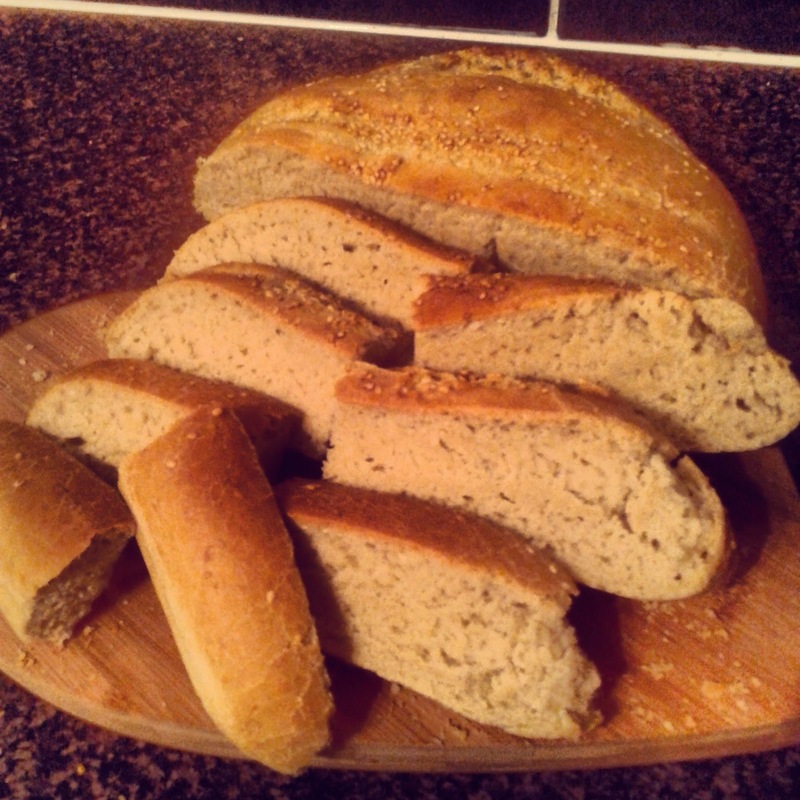 I absolutely love the smell of bread cooking in the oven and whilst it can be a bit of a pain, proving and the rest, this simple bread recipe makes a decent sized loaf. It lasted us a dinner and a couple of days accompanying home-made soup for lunches. 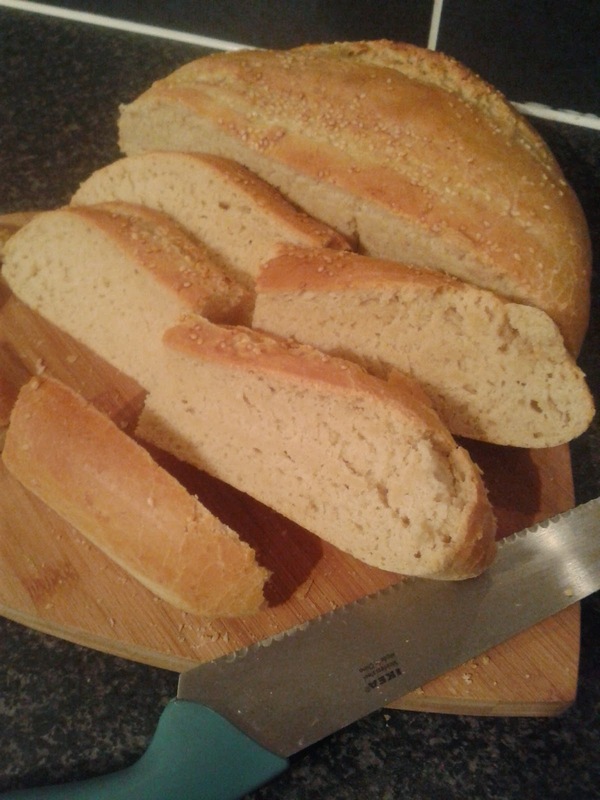 It’s also a recipe that can be made fairly easily using the contents of your store cupboard, even using plain flour, as opposed to strong white bread flour (although in future, I’d probably use this, as the texture was a little dense) and it can be made with one proving session rather than two. It's also an ideal one to try baking with children. They can easily help stir, knead and shape the bread. So here goes! Sift the flour and salt into a large bowl and stir in the yeast. 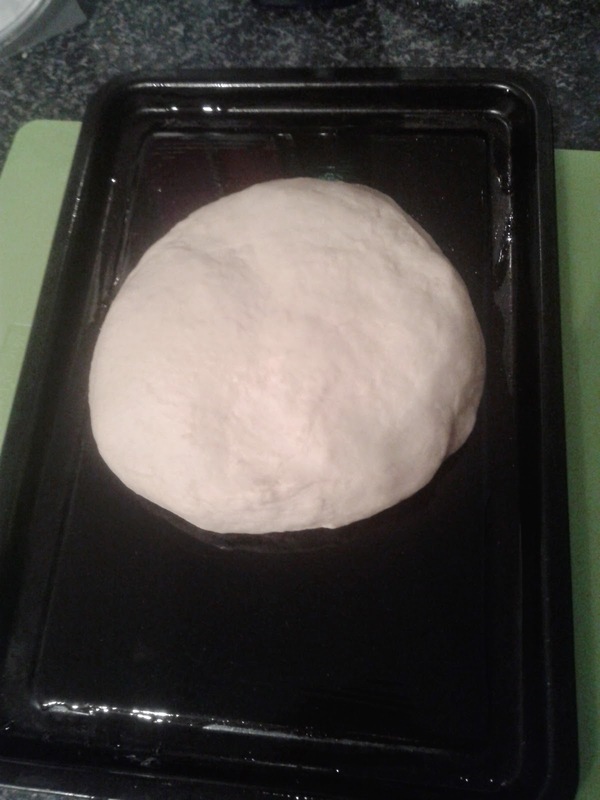 Make a well in the centre and gradually mix in the olive oil and sesame oil, then slowly add 300ml warm water until the dough comes together. Transfer the dough to a lightly oiled board and knead for 5-10 minutes until the dough becomes airy and stretchy. Shape into an oval. Transfer to oiled baking tray and set aside in a warm place to prove for around 40 minutes. 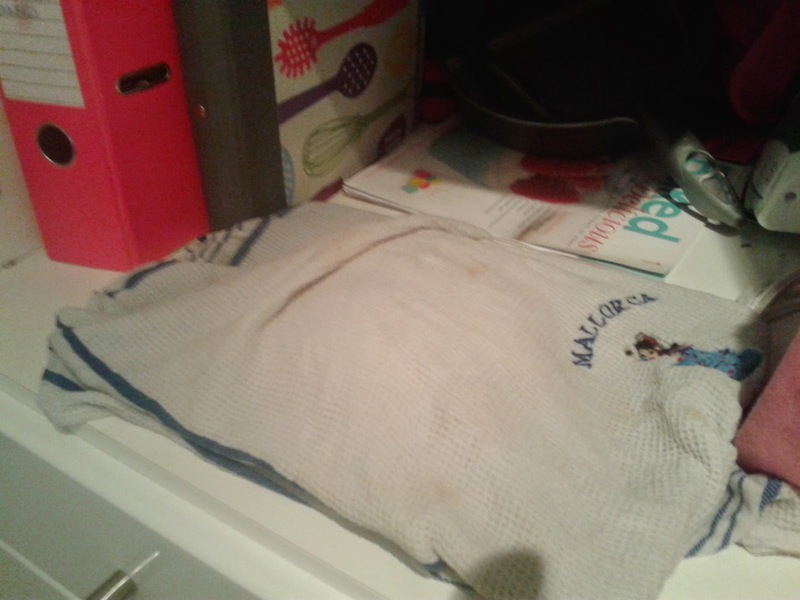 Cover with a warm, damp tea towel during proving. 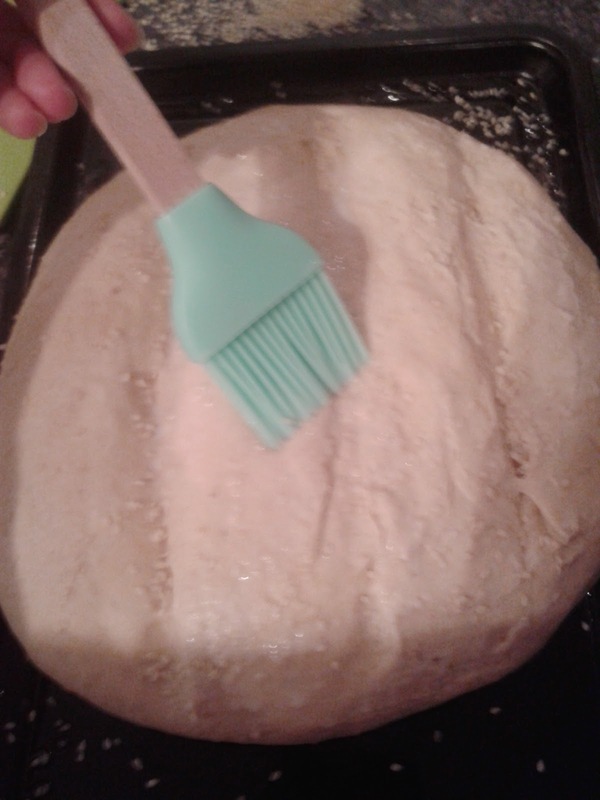 Uncover the bread and make deep slashes in the loaf. Baste the top with milk for a soft crust and sprinkle with more sesame seeds. Bake for 20-25 minutes until risen, golden and cooked through. Test by tapping the bottom. If it sounds hollow, it’s ready. Transfer to a cooling rack to cool, before slicing and serving. Store in an airtight container and eat within 2 days. As the loaf contains no preservatives, it will quickly go mouldy, if not eaten.